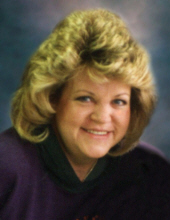 Patricia K. Powell, 69, of Bucyrus died early Sunday, March 24, 2019 at Heartland of Bucyrus due to pancreatic cancer. She had been receiving excellent care from Kindred Hospice for the previous two months. She was born in Delaware, Ohio on January 27, 1950 to the late Bernard C. and Doris G.A. (Woods) Piper. Pat grew up in Ashley and Bucyrus where she attended Bucyrus High School. She was married to Jeffrey J. Powell who preceded her in death in 1997. Pat worked for 30 years as the bookkeeper and office manager at Leonhardt Auto Sales. She enjoyed helping customers and meeting new people, but she would say the best part of her job was being able to work with her brother-in-law Artie Leonhardt and his sons. Pat loved her family and friends. She also enjoyed being active with walking, swimming, gardening, camping and going to the lake with her family. Early on, she proved to be the best trap shooter in her family and later discovered a passion for bowling. She bowled in several leagues over the years, would travel with her friends to tournaments across the country, and was a three-time winner of the Bucyrus Ladies’ Invitational. Pat had an avid interest in local history and was also a fan of Ohio State Football as well as the Cleveland Indians and Cavaliers. She had been active in Al-Anon and enjoyed the support and friendships she gained through her involvement. She loved animals, especially birds and dogs. She was a cherished friend who will be missed by those blessed to know her. Pat is survived by two children, Barry (Kim) Cooperider and Jennifer Cooperider; brother, Eric (Mary) Piper; stepdaughters, Angie Powell-Heitz, Amy McCormick, and Abigail Powell-Alamanov; and grandchildren, Amber Vermillion, Maggie Johansen, Joey Powell, Isabelle Moss, and Ryan Alamanov. In addition to her parents and husband, Pat was preceded in death by her brothers, Jerry V. Piper and Bernard J. “Spike” Piper. Pat’s family will gather with friends at Wise Funeral Service on Monday, April 1 from 11 am – 1 pm when they will proceed to Oakwood Cemetery for a graveside service conducted by Chaplain Joshua Stone. Memorial donations are encouraged to be made payable to Kindred Hospice or the service dog organization, Warrior Canine Connection, and given through Wise Funeral Service, 129 W. Warren St., Bucyrus, Ohio 44820. Memories and photos can be shared on Pat’s Tribute Wall. To send flowers or a remembrance gift to the family of Pat Powell, please visit our Tribute Store. "Email Address" would like to share the life celebration of Pat Powell. Click on the "link" to go to share a favorite memory or leave a condolence message for the family.